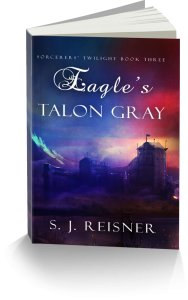 To learn more about other books in the Sorcerers’ Twilight Series SEE THIS PAGE. Three Book Hardcover set of this series is coming, soon! “This book, this whole series, is one woman’s coming of age and discovering her own power and strength, and it’s good.” – Lynette T.
This entry was posted in book news, e-books, new releases, S. J. Reisner and tagged epic fantasy, fantasy, romantic fantasy, sorcerers' twilight, Tnasha, trilogy by Steph. Bookmark the permalink.